Customer Reviews, we all know they are important but where should I focus my energy? In survey completed by Dimensional Research 90% of respondents confirmed that they read online reviews and positive reviews influenced their buying decision. In the same survey, 86% of the respondents confirmed that negative reviews influenced their buying decisions. This survey confirms that reviews can have a direct impact on your bottom line in business. Now the questions is, where do I send my customers to leave a review. Google or Yelp? 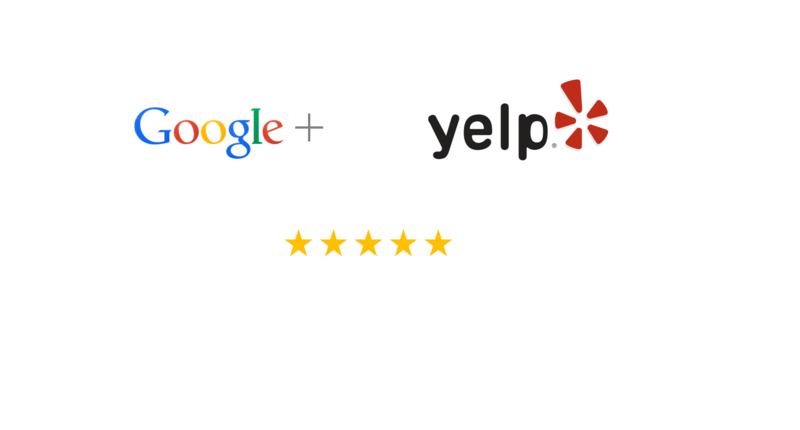 Yes, we are aware that there are many customer review websites online today along with third party companies that help you with this but we’ve identified that Google and Yelp are the top resources for google reviews. 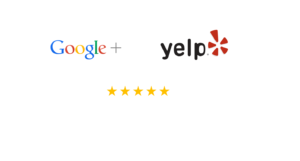 As a SEO Company, we’ve identified that Google and Yelp reviews influence rankings. With the added value of SEO and buying decisions based on these reviews, we suggest requesting reviews on a weekly basis. Based on our research and surveys completed, we suggest you split up your request for reviews between both Google & Yelp. Both are very important to your marketing strategy. While asking for reviews is time intensive, its is worth the effort as consumers will decide to do business with you based on your reviews.